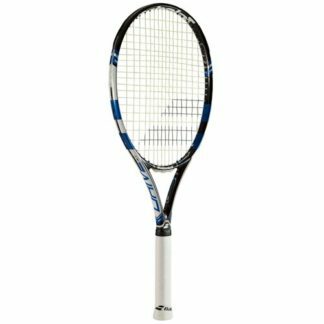 Babolat Pure Drive 110 Tennis Racquet Frame. 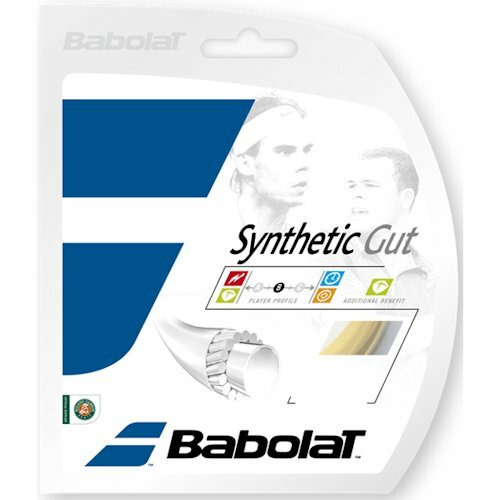 Babolat Syn Gut String Set - 16 Gauge. 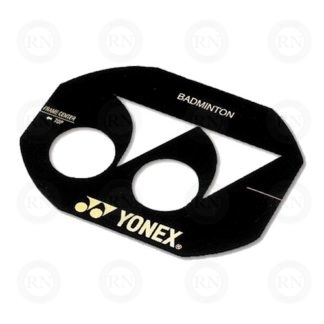 Our house overgrip is extremely popular. 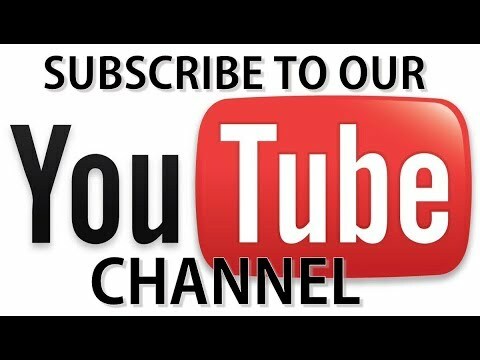 Choose this option to try one for yourself. 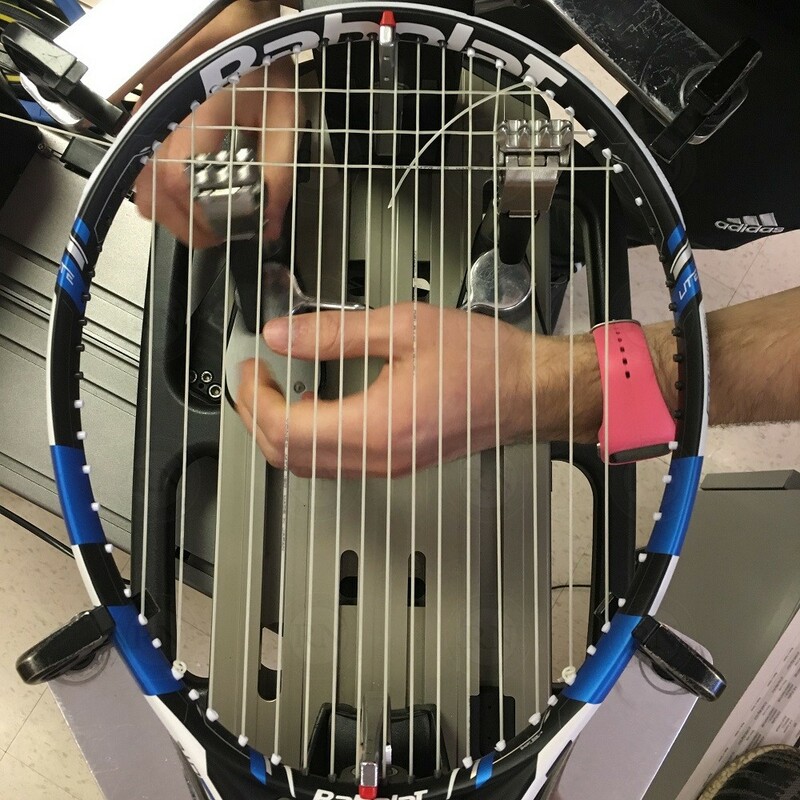 Stencils give racquets a "brand new" professional look. 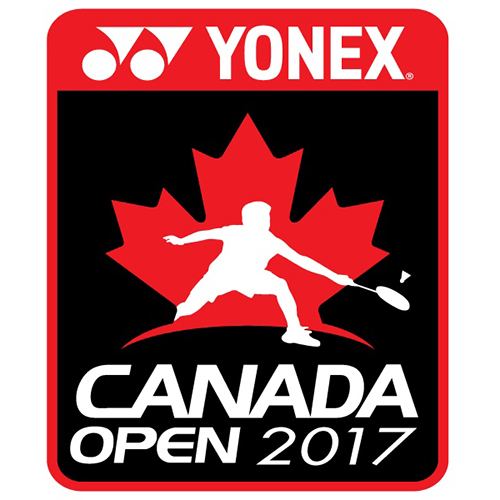 Suitable for recreational doubles players. 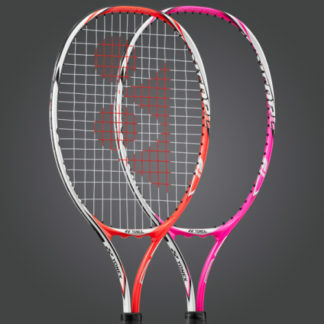 Ideal doubles racquet for players who like to serve hard and fast. 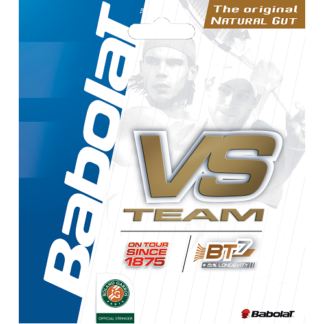 Both powerful and forgiving, it’s perfect for doubles players and those who favour volleys. 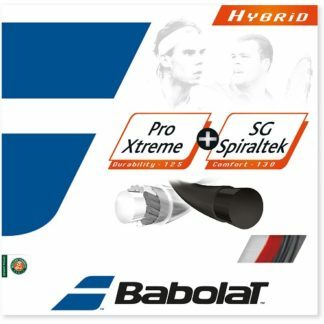 This tennis racquet features Babolat’s innovative Cortex System which works to filter out and dampen harmful high frequency vibrations while preserving useful low frequency vibrations that are associated with touch and feel. 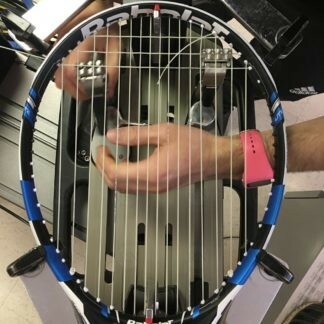 In order to achieve this, the racquet is divided into two parts (head and handle) which are then re-linked via a built in CDS (Cortex Dampening System). 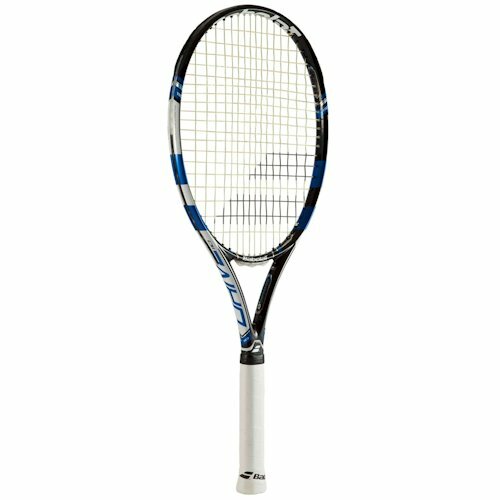 This system maximizes comfort for intermediate players while maximizing feel for advanced players. 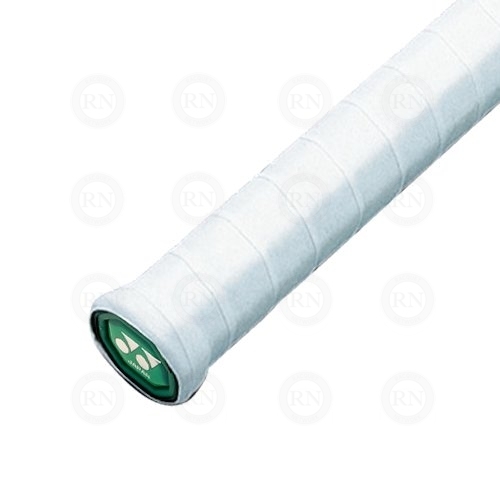 Length: 700 mm / 27.6 in.